Especially if you will arrive on saturday morning, not very early, it’s best for you if you’ll park outside the central zone. 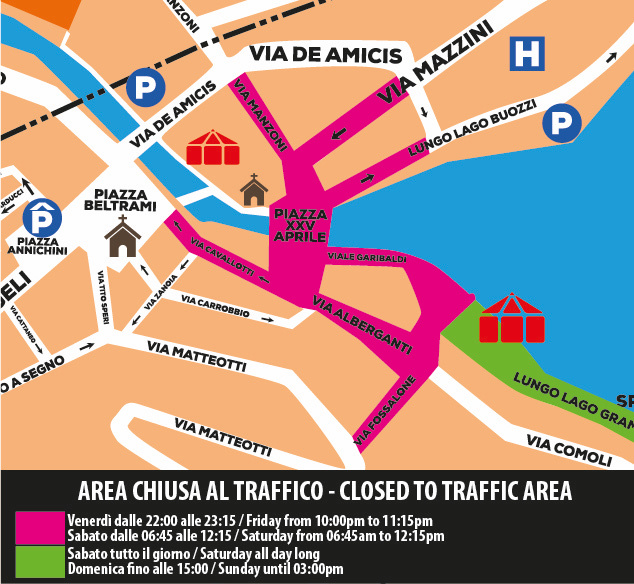 If you will arrive in Omegna from Pettenasco or from GRavellona Toce / Casale Corte Cerro, choose to park your car: near the railstation, in the forum area (dorm of the 120Km), in the library area. Also in the forum area some of the mall will leave their parking spaces, even the ones that normally close during the night, open to all. If, instead, you’ll arrive from Borgomanero/Gozzano and San Maurizio d’Opaglio, the best choice is the Sport Center in Bagnella (dorm for the 82Km, 60Km, 34Km). In that area there will be at your disposal the parking of the sport center and all the lakefront. Remember that there will be a free shuttle services from the Sport Center to the UTLO Village during all the three days of the event.